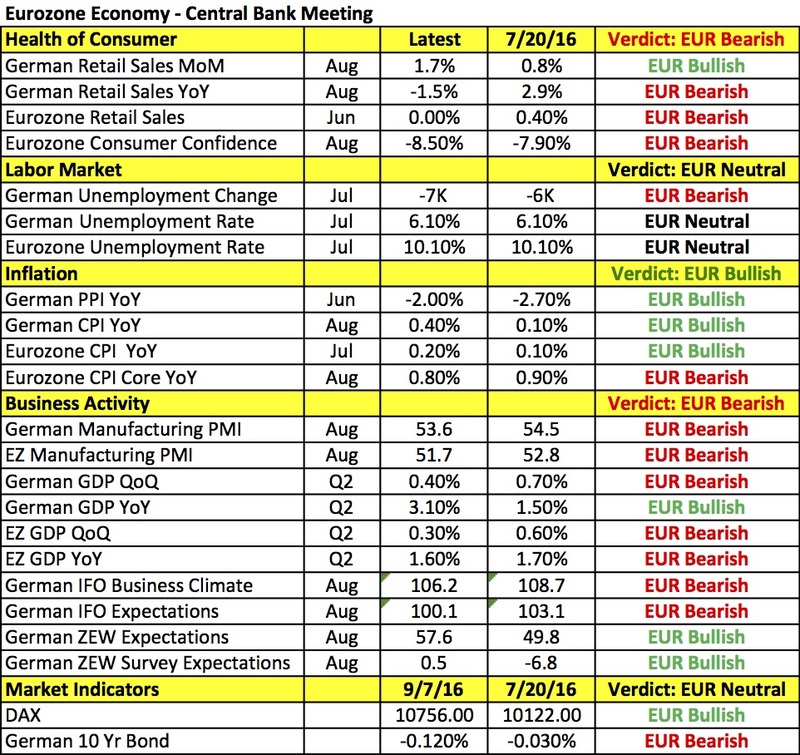 The European Central Bank’s monetary policy announcement is the most important event risk on the calendar this week. Aside from the rate decision, the central bank also releases its latest economic projections which helps to shape future policy plans. ECB President Draghi is expected to remind investors that inflation is low, the economy is weak and easier monetary policy may be needed. Consumer spending has been particularly soft, manufacturing and trade activity took a hit after Brexit and most importantly, inflation remains well below target with year over year core CPI growth slipping to 0.8% from 0.9% in August. 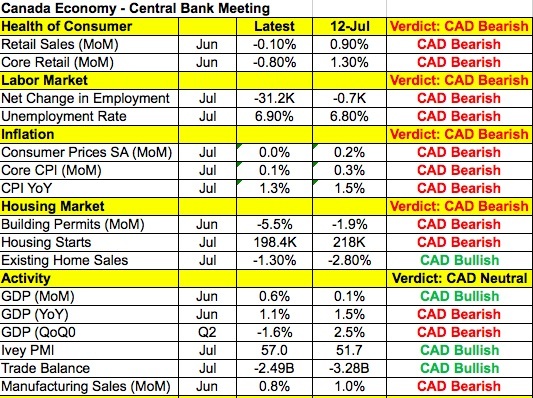 However there have also been areas of improvement namely in business confidence, German spending and German stocks. Some are hoping for more QE but at most we expect the ECB to extend its asset purchase program beyond March 2017. As usual the EUR/USD there will be different phases to the currency pair’s post ECB reaction. First, if there is no new QE, EUR/USD will jump. Then the second and more sustained reaction of the day will depend on the ECB’s guidance and their staff forecasts – most likely these will be dovish which means weakness for the euro. However if there is no QE and Draghi stresses that they are in wait and see mode, the gains in EUR/USD will be sustained and of course if there is new QE, EUR/USD will drop to 1.11. Where is the Dollar Headed this Week? 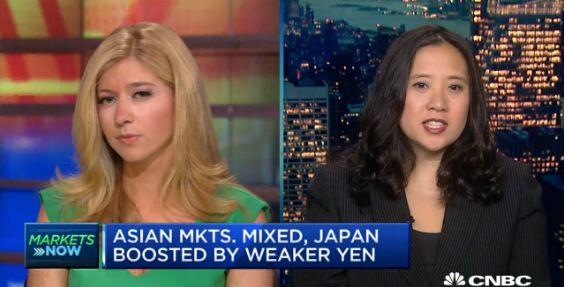 Sharing my view on the Dollar this week with CNCB’s Sara Eisen on World Wide Exchange. Bottom line – the greenback is STRONG. 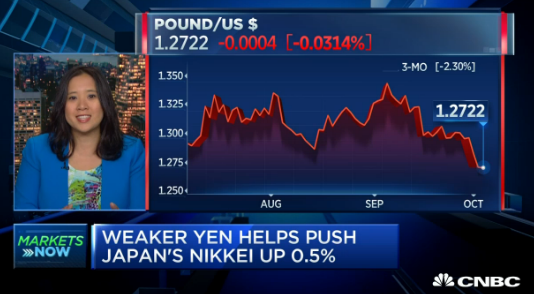 Will Aug NFPs Help or Hurt USD/JPY?